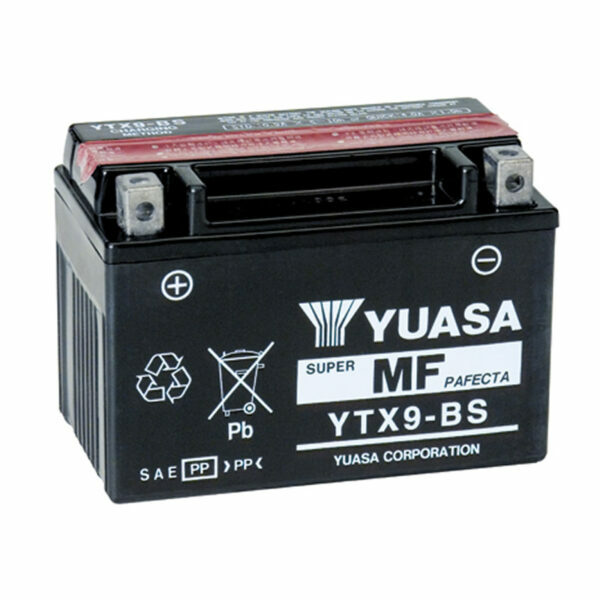 The Yuasa YTX9-BS Powersport Motorcycle Battery is perfect for people who have better things to do than battery maintenance. Advanced lead-calcium technology offers exceptional starting power. The long lasting VRLA (Valve Regulated Lead Acid) Battery is permanently sealed so never needs refilling. The battery is ideal for motorcycles, scooters, ATVs, snowmobiles, ride-on mowers and personal watercraft. 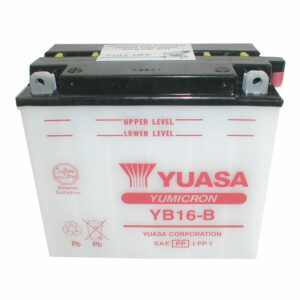 The Yuasa YB4L-B Powersport YuMicron Battery is ideal for motorcycles, scooters, ATVs, snowmobiles, ride-on mowers, laden touring bikes and jet-skis. The high-tech, power-boosting design ensures this battery has 30% more cranking power than conventional batteries. 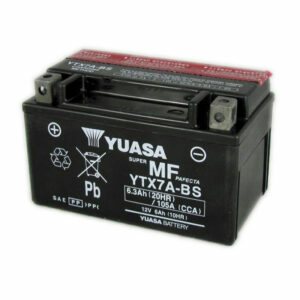 The Yuasa YTX7A Powersport Motorcycle Battery is perfect for people who have better things to do than battery maintenance. Advanced lead-calcium technology offers exceptional starting power. The long lasting VRLA (Valve Regulated Lead Acid) Battery is permanently sealed so never needs refilling. The Yuasa YB16b Powersport Motorcycle Battery is the ideal choice for touring bikes, modified vehicles, watercraft, snowmobiles and ATVs. 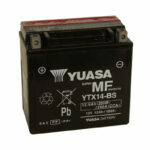 The Yuasa YTX14-BS Powersport Motorcycle Battery is perfect for people who have better things to do than battery maintenance. Advanced lead-calcium technology offers exceptional starting power. 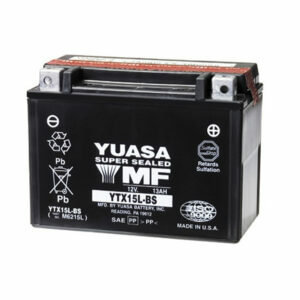 The long lasting VRLA (Valve Regulated Lead Acid) Battery is permanently sealed so never needs refilling. 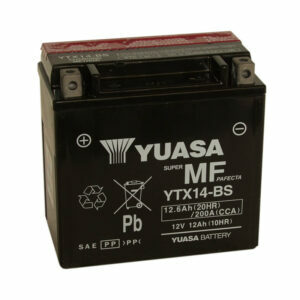 The Yuasa YT12A-BS Powersport Battery is perfect for people who have better things to do than battery maintenance. Advanced lead-calcium technology offers exceptional starting power. The long lasting VRLA (Valve Regulated Lead Acid) Battery is permanently sealed so never needs refilling. 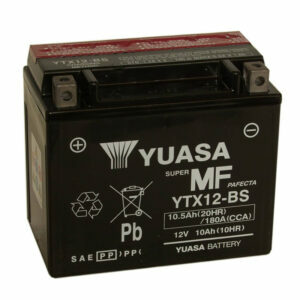 The Yuasa YTX7L-BS Powersport Motorcycle Battery is perfect for people who have better things to do than battery maintenance. Advanced lead-calcium technology offers exceptional starting power. The long lasting VRLA (Valve Regulated Lead Acid) Battery is permanently sealed so never needs refilling. 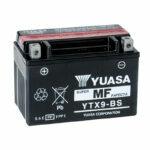 The Yuasa YTX5L-BS Powersport Motorcycle Battery is perfect for people who have better things to do than battery maintenance. Advanced lead-calcium technology offers exceptional starting power. The long lasting VRLA (Valve Regulated Lead Acid) Battery is permanently sealed so never needs refilling. 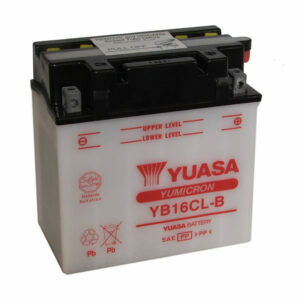 Yuasa YTX15L-BS (GTX15L-BS) Motorbike battery, 12v 13Ah comes complete with acid pack and instructions, commonly used on Motorbikes, quad bikes, and other motorcycles. 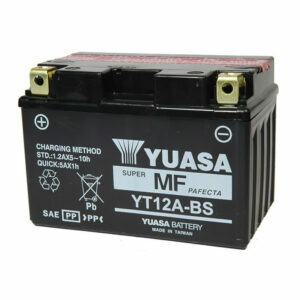 The Yuasa YTX12-BS Powersport Motorcycle Battery is perfect for people who have better things to do than battery maintenance. Advanced lead-calcium technology offers exceptional starting power. 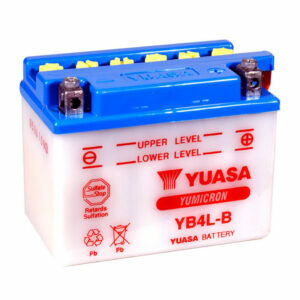 The long lasting VRLA (Valve Regulated Lead Acid) Battery is permanently sealed so never needs refilling.